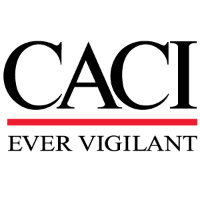 If you are working or aspiring to work in today's United States Intelligence Community...NOW is the time to join CACI! The Intelligence Solutions Team has a job opportunity for an Jr. Intelligence Analyst. Gather and analyze information, and provide recommendations necessary for the Government to produce, disseminate, and apply intelligence products in the following areas. All Source Analysis of USCENTCOM AOR and USCENTCOM Areas of Responsibility (as defined by the unified Command Plan). Researches, analyzes, interprets, evaluates, and integrates extremely complex all-source intelligence data pertaining to order of battle, force structure, strategic and conventional military capabilities and key military leadership. Prepares extensive assessments and documents and disseminates information through reports and briefs. Develops complex analytical approaches to problems and situations for which data is incomplete, controversial, or which no precedent exists. Assesses capabilities of doctrine and strategy production, joint forces operations, force structure, manpower; joint exercises, readiness training; and intentions. Advises and briefs senior leadership regarding critical military capabilities issues. Represents the Agency's position concerning military capabilities to senior policymakers. Provides input to policymakers on key foreign military capabilities trends. Develop innovative approaches to analysis and validates analytical conclusions. Maintains and updates extensive intelligence databases, systems, and mechanisms for sharing relevant intelligence information to support ongoing and projected projects. Bachelor or Master's degree with 2-3 years of Intelligence Analysis experience or specialized training & 3-4 years Intelligence Analysis experience or equivalent intelligence/academic experience. Active TS/SCI Clearance with the ability to obtain a Poly. Due to contract requirements, as an essential job function you must be qualified and able to travel to OCONUS locations on short notice. Failure to meet such qualifications may result in termination. Due to contract requirements you must maintain a valid United States Passport and remain qualified to travel OCONUS on short notice.